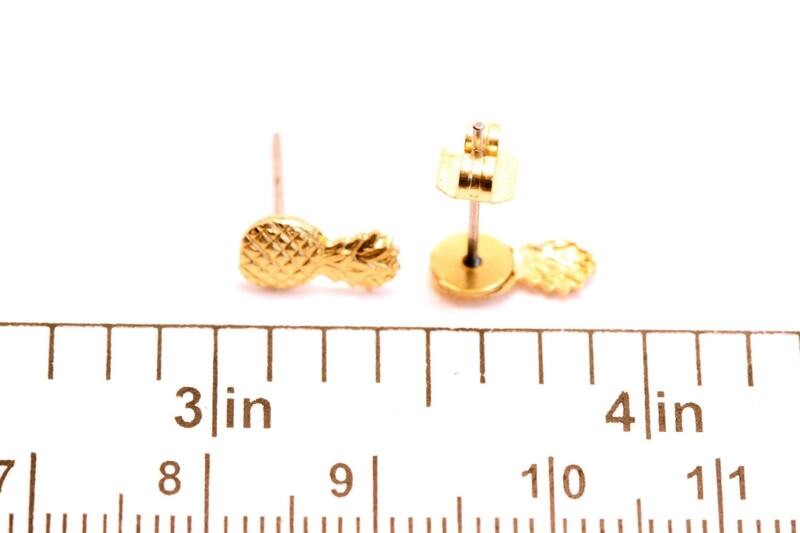 A super cute pair of tiny little brass pineapple stud earrings with butterfly backings. 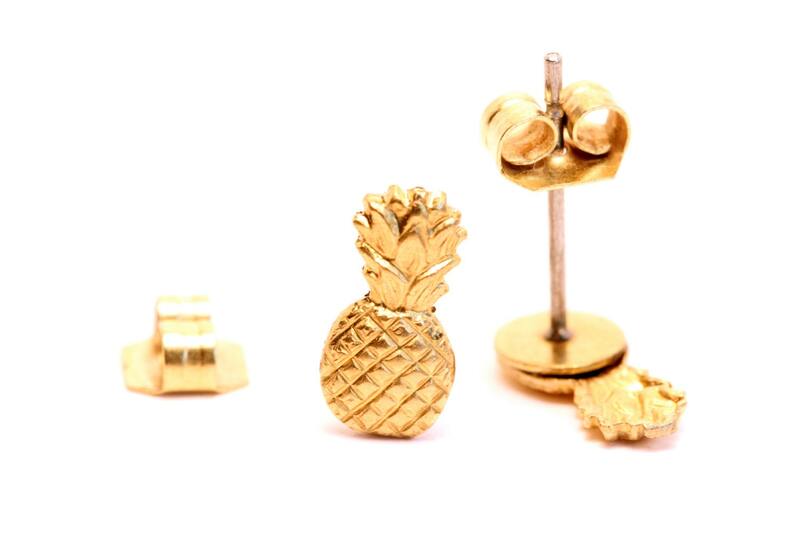 These beauties are set on your choice of sterling silver or steel backing and posts. 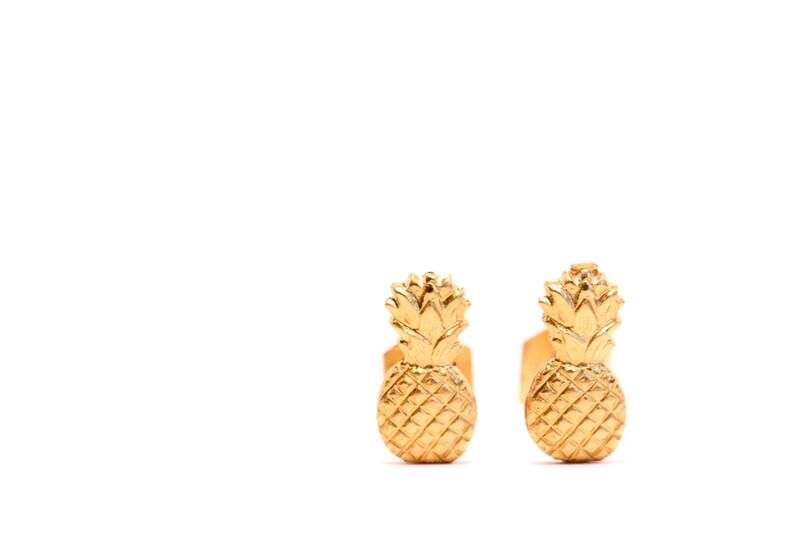 These beauties measure 10mmx5mm. Please use the last photo in this listing as a reference for measurement. 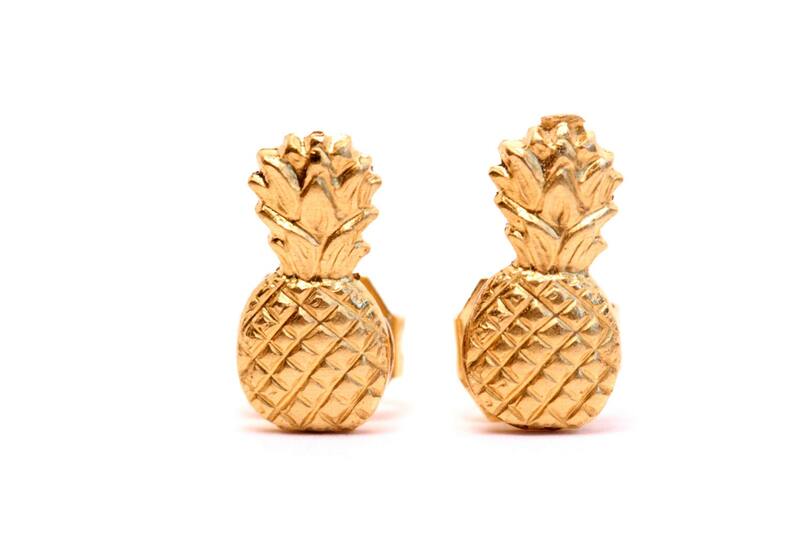 These pineapples are made of solid brass and may require polishing to keep their shine. 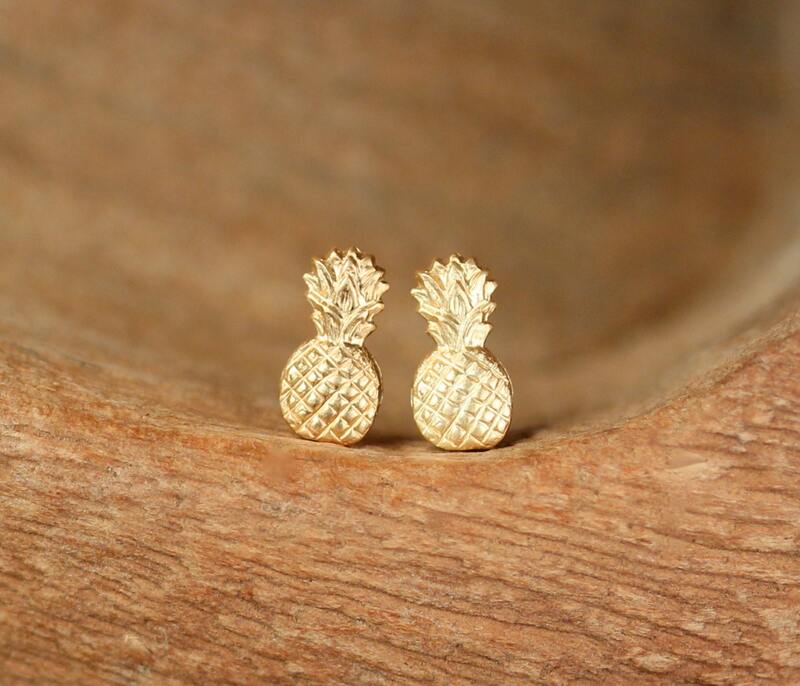 Looking for more pineapple jewelry?